Exchange Traded Funds, also known as ETFs, have been one of the most brilliant and successful financial developments in recent years. First introduced in the early 1990’s, the demand for ETF’s has grown significantly, as the fund’s features have been attractive to both individual and institutional investors. In fact, in the past ten years alone, the total net assets of ETFs have increased exponentially. With more of these funds in demand, ETFs have been offered by sponsors with a greater variety of investment options. Similar to mutual funds, ETFs are a great way for financial investors and advisors to get involved in the stock, bond, and asset markets. This, in turn, will simplify portfolio diversification and enable a wide range of investment strategies. Today, there are well over 2,000 ETFs available on both the stock and bond markets, giving investors who plan on making ETFs part of their long-term investment plans plenty of options to choose from. But what makes ETFs so appealing to financial investors and advisors? 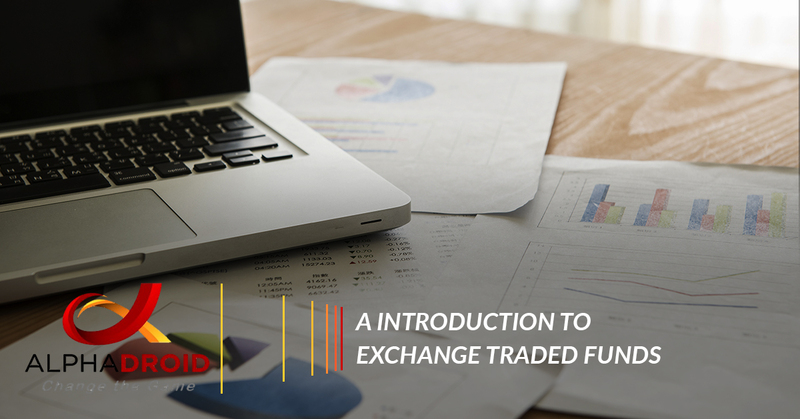 Check out our guide to Exchange Traded Funds to learn more! An Exchange Traded Fund, or ETF, is an investment vehicle — one of the fastest growing investment vehicles for investors — that can be purchased or sold throughout the day on a stock exchange at a market-specific price. While they are similar to mutual funds and open-end funds, ETFs take the investing benefits of the two to the next level. These funds contain a variety of stocks, bonds, and assets and can be traded whenever stocks traded since they are traded on a market exchange. Many investors used an index-based ETFs — funds designed to track the performance of a specified, multiple, or inverse index. Both ETFs and mutual funds are popular investment vehicles. While they both share some basic characteristics, there are essential structural and operational differences between the two. Both ETFs and mutual funds can provide the basic foundation of an investor’s portfolio. Like mutual funds, ETFs offer investors a corresponding share in stocks, bonds, and other assets. Plus, new shares of ETFs can be created or redeemed at the close of each trading day. Lastly, both funds are commonly structured as open-end investment companies, governed by the same regulations. One of the biggest differences between mutual and ETF funds is that investors purchase and sell their ETF shares on a stock exchange through a dealer, similar to what they would with any type of stock. Mutual funds, on the other hand, do not have shares listed on the stock exchanges. Because of this, investors may choose to buy and sell mutual funds through a variety of distribution channels. Mutual funds and ETFs are also priced differently. Mutual funds are forward-priced, meaning that, while investors can place orders to purchase or sell shares throughout the day, all shares that are bought and sold during the day will receive the same price: the fund’s net asset value at the next time it is calculated. In contrast, ETFs share prices are determined through trading on the stock exchange. This means the price at which an investor purchases or sells the fund’s shares on an exchange may not be equal to the net asset value of the portfolio of securities in the ETF. Now that we know the similarities and differences between these two common investment vehicles, let’s take a look at some of the many benefits of ETFs. Many investors financial strategies involve gaining quick portfolio exposure to certain sectors, industries, styles, or market segments. With the wide range of equities, sectors, industries, and styles available, ETF funds can potentially enable an investor to gain easy exposure to a specific market segment. Regardless of structure, operating expenses are acquired by all managed funds. Portfolio management expenses, administrative costs, and marketing costs — to name a few — are some of the included expenses that are incurred by managed funds. With ETFs, these costs are generally much lower than those associated with similar actively-managed funds. Perhaps one of the most significant advantages of ETFs is that they are easy to trade like stocks even though it provides the owner with all the diversifying benefits. Investors can purchase ETFs on margin and short-sell, as their prices are updated when they move. This enables investors to buy or sell at the most rewarding moments. Unlike mutual funds, ETFs enable risk management through future trading and options. Moreso, ETFs are similar to stocks as they trade in a similar way. ETFs allow investors to track daily changes of the assets sector by way of a ticker symbol. Due to its flexible trading, ETFs simply portfolio management and share trading. Investors are able to move their money among specific classes, such as bonds, commodities, and stocks. ETFs give investors the benefit of making timely, careful decisions on their investments and placing their orders in a variety of ways. When investors choose to invest in ETFs, they have seemingly-endless trade combinations of equity stock investing, including limit and stop-limit orders. They can even short sell their funds by borrowing securities, simultaneously selling them. This strategy is used to purchase the funds back when their prices have lowered. Compared to mutual funds, ETFs are known to be more tax-efficient. Because of structural differences, mutual funds typically obtain more capital gains taxes compared to ETFs. In addition, capital gains tax on an ETF is acquired only by the sale of the fund by the investor, where mutual funds will pass on capital gains taxes to investors through the life of the investment. Basically, ETFs have lower capital gains than mutual funds and they are only payable upon the sale of the fund. While ETFs come with portfolio diversification, lower costs, and tax benefits, in order to reap these benefits investors must identify and understand the disadvantages that are associated with these funds. Investors should not worry, however, as these disadvantages can be avoided if they have a clear understanding of the shortfalls and how the solution can help enhance their portfolio. ETF portfolios do not rebalance. As mentioned above, these funds are only programmed to track an index. In an index, as stocks increase in price they become a larger percentage of an index. Simultaneously, as some stocks decline in price they become a smaller percentage of an index. By owning an index, to an ETF trading an index, investors may hold more overpriced stocks and less-valuable stocks. Unfortunately, ETFs can be over-diversified. Because these funds are not actively managed and programmed to specifically follow an index, both the index and the fund may not own the most valuable or underpriced stocks. In fact, investors may have more success purchases a limited number of stocks from the best companies instead of owning an entire index. Investors can mitigate the shortfalls of ETFs above by investing in a variety of ETFs and individual stocks. There are situations that are appropriate for the ETFs, and ones appropriate for the stocks. Smaller investors who start exclusively with ETFs should consider adding stocks as their portfolio grows. Exchange Traded Funds are a great investment vehicle for advisors and investors that — if used properly — can be beneficial in lowering portfolio risk and improving returns. It not only reduces the risk of constant tracking and higher costs for an investor while exposing them to various indexes for a broader diversification. Need help choosing what ETFs to own? Choosing the right ETFs to own can be a challenge, especially during a bear market. However, with AlphaDroid, an elite investment portfolio management software, can make ETF selection simple! Using True Sector Rotation®, AlphaDroid can help investors choose the best ETF to own by measuring market sector activity and selecting the trend-leading fund. To learn more about our asset allocation software, contact us.